Born at Peterborough, Ontario on 10 June 1872, son of William Bradburn and Eleanor Stinson, he was educated at the Peterborough High School. He began working as a hardware clerk at Peterborough in 1890 then was a travelling representative for McColl Brothers (later McColl Frontenac Oil Company) from 1891 to 1895. He moved to Vancouver, British Columbia and opened branches of the firm around the province and was afterwards made manager at Vancouver. 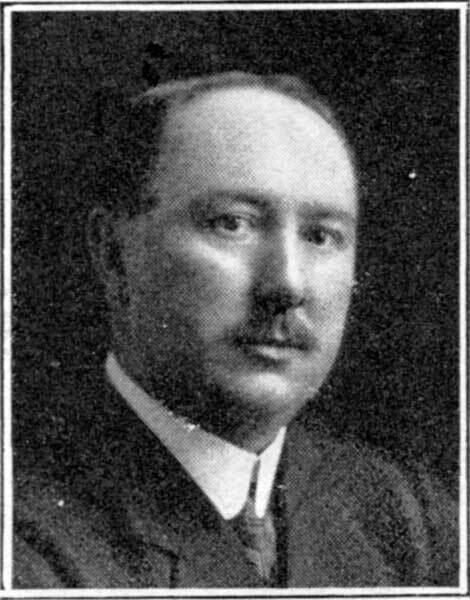 He came to Winnipeg in 1902 and established Manitoba and Alberta branches of the business and, in 1911, was General Manager of McColl Brothers & Company located at Sherman and Henry Avenue in Winnipeg. He became Vice-President of McColl Frontenac in 1929 and served until shortly before his death. He was also a Director of the Gas Traction Company and was active in real estate. On 29 October 1891, he married Sarah Scammons Winch (c1871-?) of Peterborough and they had three children: Thelma Bradburn (b 1895, wife of Alfred Campo), Vernal William Bradburn (b 1899), and Marjorie Helen Bradburn (b 1905, wife of Charles T. Spencer). He was a member of the Commercial Club and AF & AM. His recreations included shooting, hunting, boating, and fishing. He lived at 662 Wellington Crescent from 1909 to 1937, also living from 1928 and 1937 at 686 Wellington Crescent. He died at his Winnipeg home on 27 December 1958 and was buried in the Elmwood Cemetery. “Retired oil executive dead at 86,” Winnipeg Free Press, 30 December 1958, page 10.